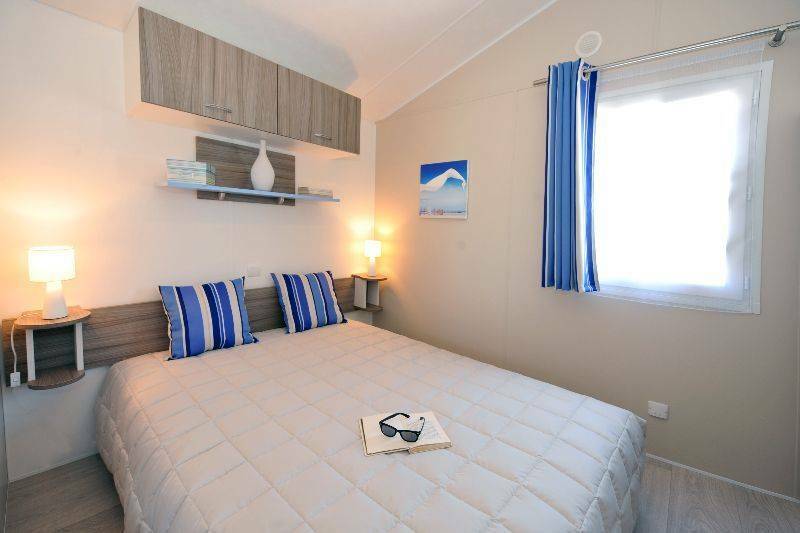 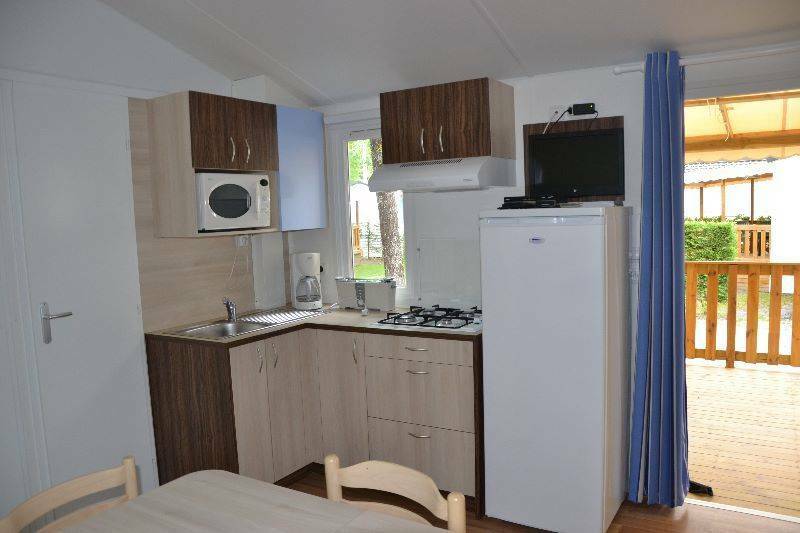 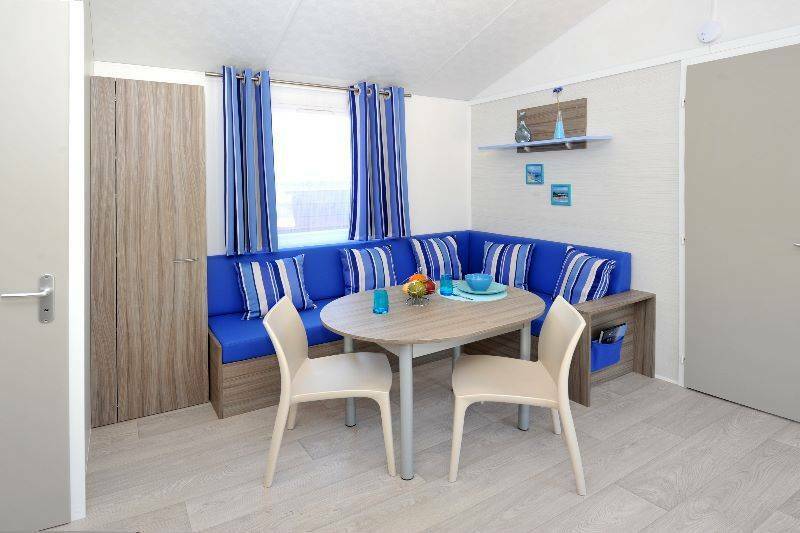 This splendid mobile home is perfect for large families and groups. 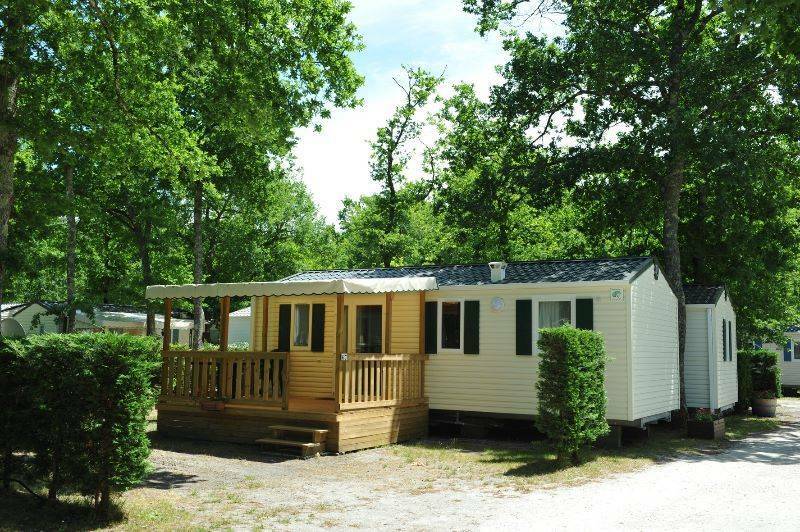 It measures 33m² and has a wooden terrace which is perfect for drinks and delicious al fresco meals in the fresh clean air of Arcachon Bay. 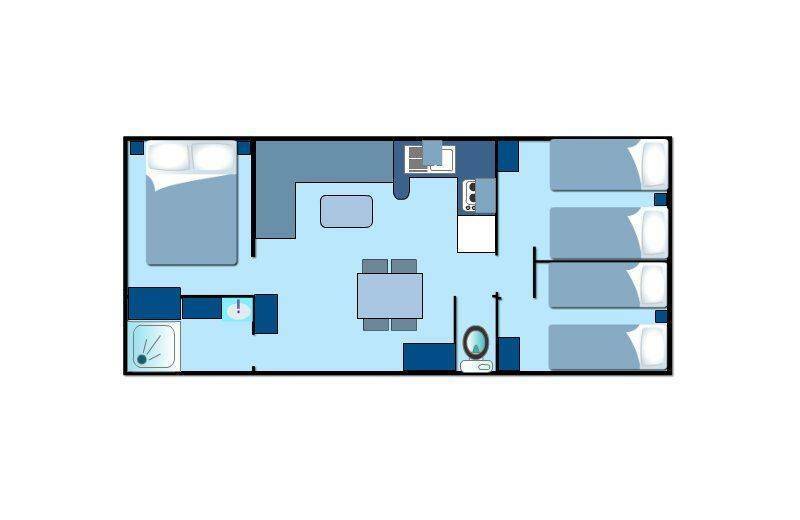 It has 3 separate bedrooms, a bathroom and a toilet.